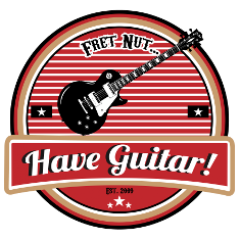 Boss Katana Archives - Fret nut... Have Guitar! So I have played around with the sneaky amps of the Boss Katana and started building a liveset with them. This is it! Or rather, it’s the second take…! Getting the Boss Katana to sound good isn’t that hard in my opinion. Capturing those sounds, that’s another story. I did a first video awhile back but was not pleased with the outcome so thus this is the second take. In this video I have used both microphones and lined recordings but I still have to say that these sound settings sounds a lot better in real life! I do hope you like this video and if you do – pretty please subscribe to Have Guitar! A Very Big Thanks to all old and new subscribers, your support is inevaluable! So there is a new “pre-release” out of Gumtowns FX FloorBoard software out for the Boss Katana. If you don’t know about this software it’s like a replacement or alternative to the Boss Tone Studio. One of the good things with the FX FloorBoard is direct access to the “sneaky amps” and much more. This version is as mentioned not the final release but still a step up of course from the previous version.